Article: Site Installations - Why they matter. Why do site installations matter. 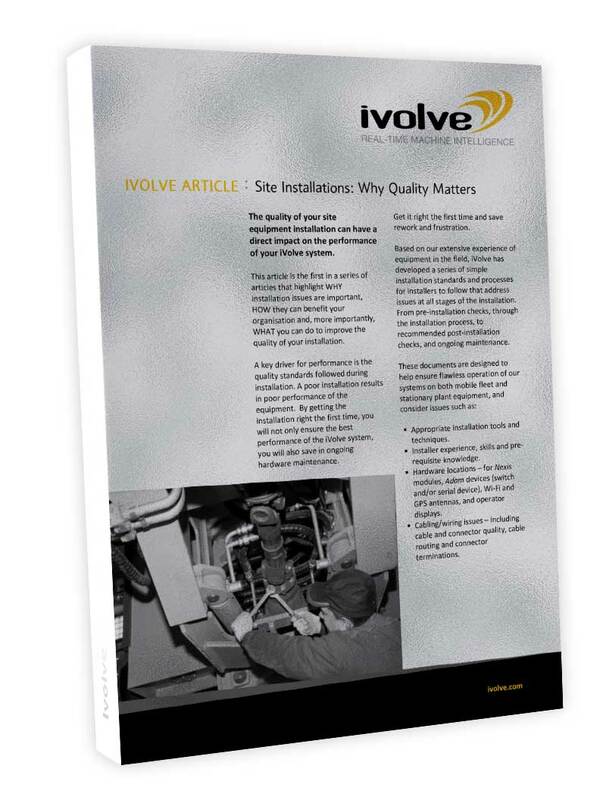 The quality of your site equipment installation can have a direct impact on the performance of your iVolve system. This article is the first in a series of articles that highlight WHY installation issues are important, HOW they can benefit your organisation and, more importantly, WHAT you can do to improve the quality of your installation. A key driver for performance is the quality standards followed during installation. A poor installation results in poor performance of the equipment. By getting the installation right the first time, you will not only ensure the best performance of the iVolve system, you will also save in ongoing hardware maintenance. Based on our extensive experience of equipment in the field, iVolve has developed a series of simple installation standards and processes for installers to follow that address issues at all stages of the installation. From pre-installation checks, through the installation process, to recommended post-installation checks, and ongoing maintenance.